If you’re looking for an office desk or another type of office furniture that’s attractive and well-made, turn to the professionals at Reimagine Office Furnishings (ROF). Since 1991, we’ve been providing businesses of all sizes and in various industries with some of the finest office furniture on the market, and all at affordable prices. We understand that furnishing an office is a large expense, but here at ROF, we’d like you to spend your hard earned money elsewhere. 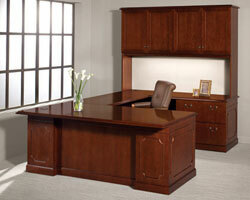 We offer new furniture, but specialize in used and refurbished, which allows you to save money. In fact, customers can save up to 80 percent off the original manufacturer’s price. Additionally, our in-house refurbishment team thoroughly inspects all pieces of the furniture before putting it up for sale, ensuring that it looks and functions like new. With ROF, you never have to worry that affordability is a compromise for quality. For more information on our office desk selection, or other office furniture you may be interested in, contact Reimagine Office Furnishings today.